Photos courtesy of Tim McKinley, Alaska Department of Fish and Game. An Alaska Department of Fish and Game technician takes a tissue sample from a monster king salmon at the Fish and Game test-net site on the lower Kenai River. Samples are run through genetic testing to determine which spawning stock the fish is from. As much as we might wish them to, fish simply don’t talk. 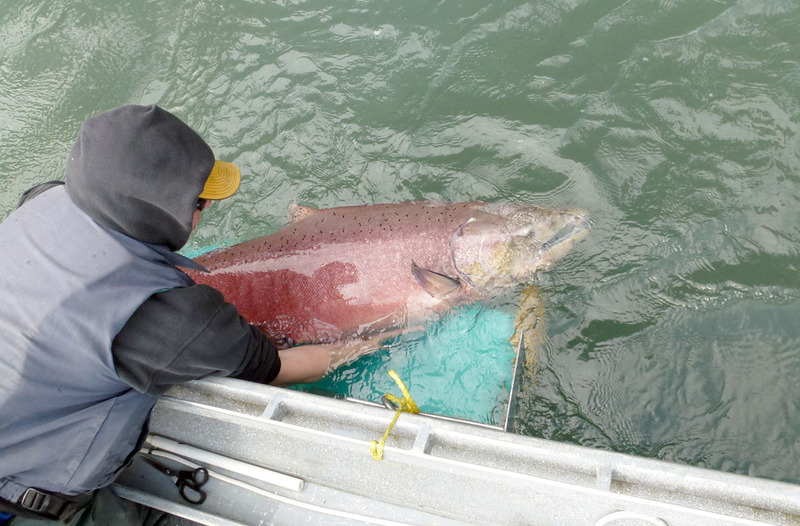 Though biologists and fishery managers in Cook Inlet are constantly trying to learn more about king salmon, especially those from the Kenai River, pulling a chinook alongside a boat and asking it, “Where you from?” “Been here long?” or “Where you headed?” does not elicit a response. At least, not in so many words. But advances in genetic testing make it just about that easy to get much better acquainted with king salmon. The leap for fishery biologists came with improvements in genetic testing that led to much easier and cheaper ways to derive information from tissue samples. Twenty-five years or so ago, genetic sampling of salmon was a time-intensive, technical, expensive and deadly process. “If you were going to take genetic samples from fish you had to kill the fish because you were taking all kinds of weird stuff — like heart tissue or kidney or liver and blood. And then, once you took that sample, it had to be preserved using stuff like liquid nitrogen,” McKinley said. Running the genetic testing lab work could cost a couple hundred dollars per sample. Photo by Joseph Robertia, Redoubt Reporter. An iconic structure between Kasilof and Ninilchik, the Clam Shell Lodge in Clam Gulch will soon be closing and the building going up for auction. 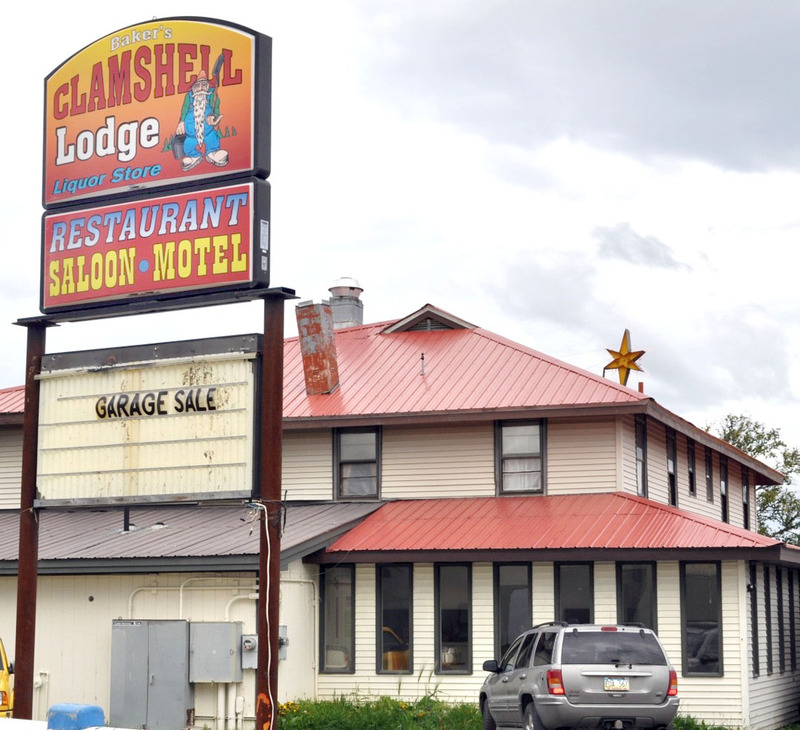 Driving the sparse stretch of Sterling Highway, there doesn’t seem to be much between Kasilof and Ninilchik, just the blinking red star atop of the Clam Shell Lodge to serve as a beacon to weary travelers. 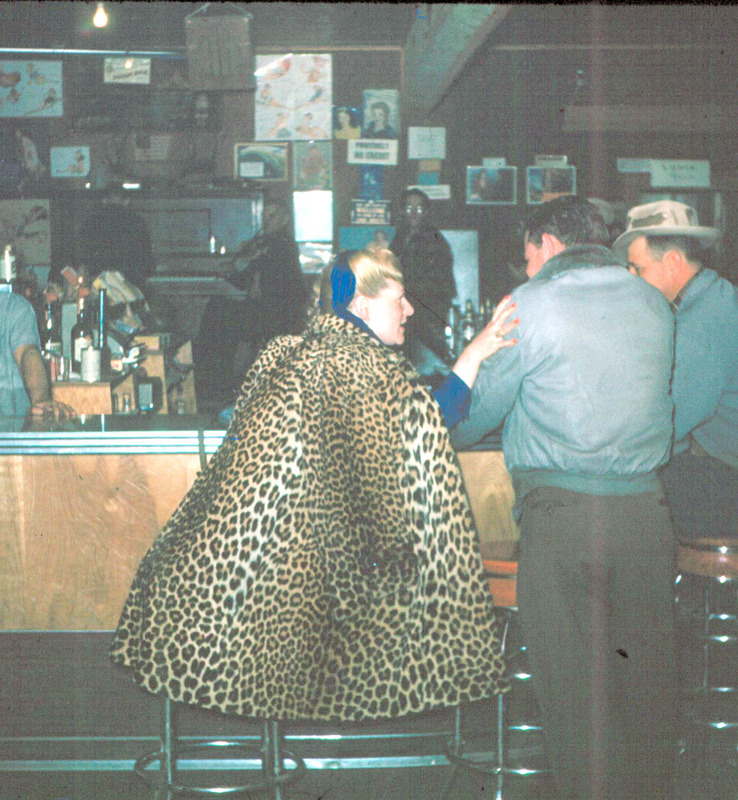 As the area’s only restaurant, motel, bar and liquor store, snowmachiners in the winter making their way down from the Caribou Hills could stop in for a warm meal, while in summer, tourists and fishermen could poke in for a cool drink. But the establishment has been much more than just a food stop or watering hole. The lodge has also served as a staging area or host for numerous Alaskana events, such as the Hippy Olympics, the Clam Jam and DeadFish summer music festival, the Way Out Women charity snowmachine ride, and a checkpoint for the Tustumena 200 and Clam Gulch Classic sled dog races, not to mention an oasis of social interaction for locals looking to catch up with friends or meet some new ones. No longer. The watering hole oasis is drying up from financial hardship following owner Guy Baker’s death in a vehicle accident earlier this summer. The Clam Shell is preparing to close up tight for the last time. A lawsuit against the Gov. Sean Parnell administration will be the next step if a legal process for protesting the Chuitna coal development continues to go unanswered. Under hard-rock mining laws, Unsuitable Lands Petitions cannot be filed, such as in the case of the Pebble Project. But under soft-rock mining for coal, a provision exists for citizens and groups to petition the government arguing that a particular area should be deemed unsuitable, said Cook InletKeeper Executive Director Bob Shavelson. “There is a section specifically written that states if an area is unsuitable for mining and cannot be reclaimed to its pre-mining values, then petitioners can ask to have it removed from the mining plan,” he said. This legal right for interjecting public input is outlined in the Alaska Surface Coal Mining Control and Reclamation Act. The proposed coal project would run through 11 miles of salmon stream. Though PacRim Coal has said it can rebuild the habitat that supports wild salmon, biologists have disagreed. Photo courtesy of Janice Chumley, Cooperative Extension Service. A caterpillar munches its way through a leaf this fall. An outbreak of caterpillars earlier this year has resulted in a damaged blueberry and salmonberry crop this fall. The invasion began in spring. After parachuting down on silken threads and then burrowing into soil, they emerged and began to wage their war in the thick canopy. Camouflaged in various shades of green they are almost undetectable in the foliage, but the wake of the damage they left behind is obvious and will take time to repair. “It’ll probably be around two years to recover,” said Janice Chumley, integrated pest management technician at the University of Fairbanks Cooperative Extension Service in Soldotna. She was referring to the damage done to native trees and shrubs by the caterpillars of Bruce spanworms and autumnal moths. “Alder was their first choice, then willow, then they began dropping down and munching on other plant materials, including berry bushes,” she said. The infestation appears to have begun on the lower Kenai Peninsula in 2009 and quickly spread, Chumley said, citing surveys conducted by CES, Native-owned Chugachmiut Forestry and the U.S. Forest Service. 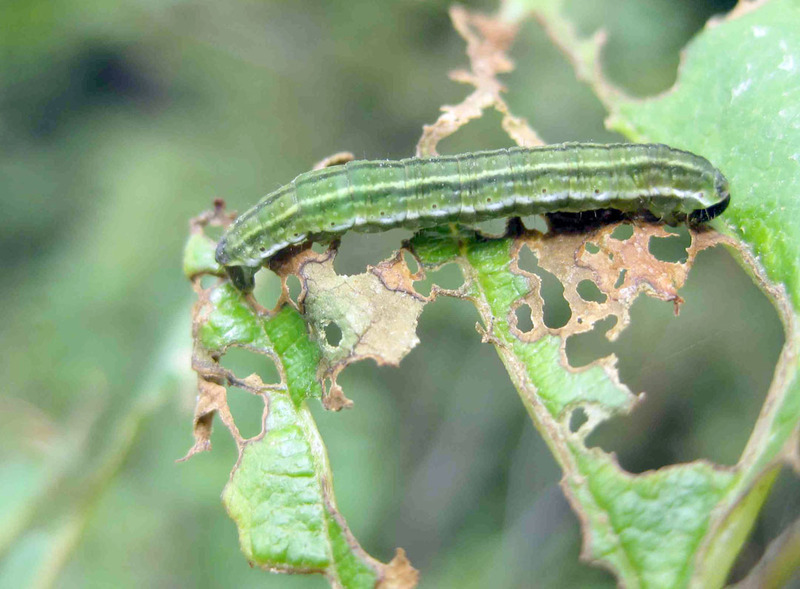 The caterpillars have been documented in Anchor Point, Nanwalek, Port Graham, Ninilchik, Seward and mountain passes on the Kenai Peninsula, including Summit Lake and Turnagain Pass, she said. The insects have also been found farther north in the Anchorage, Matanuska and Susitna areas. Photo courtesy of Stephanie Burns. Zoe Burns smiles during a canoe trip down the Swanson River this summer. Even 3-year-olds can enjoy multiday trips in the outdoors, with patience and preplanning. The idea of canoeing the 24 winding miles of shallow water that stretches from Sterling to Nikiski can be a daunting task, but for one Sterling trio that recently made a late-summer canoe trip down the Swanson River, it was an adventurous family getaway. “Alaska is amazing anyways, but exploring with a little one really opens your eyes to everything around you. We’re so lucky to have the biggest playground here for kids,” said Stephanie Burns, who paddled the Swanson River over the course of two days last week with her husband, Brian, and their 3-year-old daughter, Zoe. 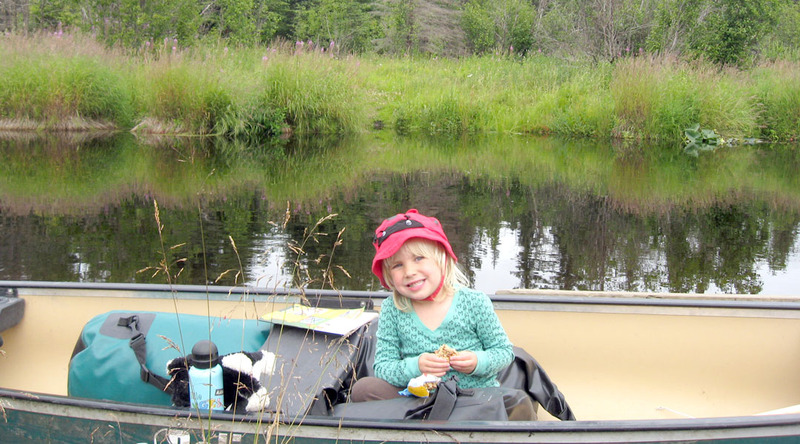 Not everyone could put a toddler in a canoe for two days, but Stephanie said outdoor adventures have been a part of her child’s life since she was born, and her interest in this area continues to grow as she gets older. Photo courtesy of Jen Ransom. 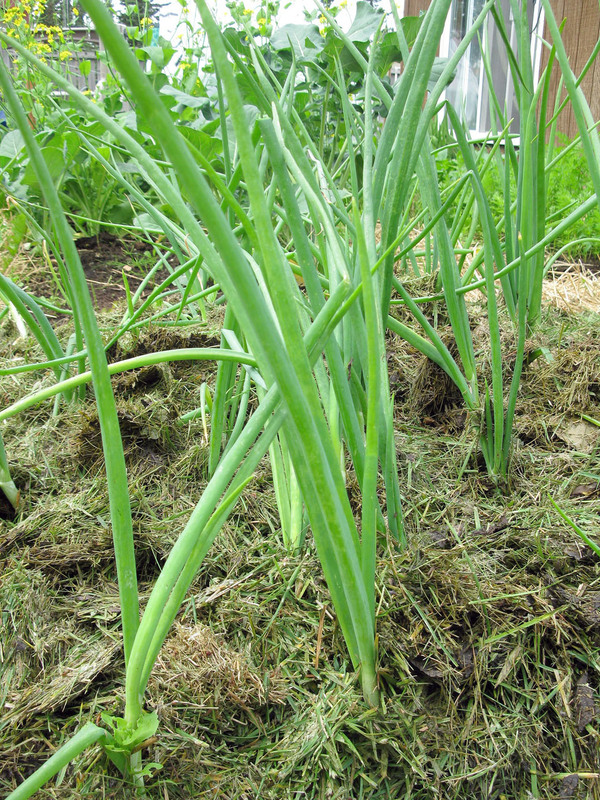 Any heavy mulch will help keep moisture levels consistent, which is important for ripening onions and garlic. Onions and garlic both need to maintain even soil moisture during the last month or months of growth in order to mature. Onions will often swell above the ground, as they are shallow-rooted. Garlic just takes so long to mature that any setbacks, such as a day of dry ground, can mean the difference between homegrown garlic and the store-bought variety come fall. In fact, spring garlic, as I planted, often won’t mature enough to harvest much. So plan on planting another round this fall, in the same manner as other fall-planted bulbs, for a bumper crop next year. Store-bought bulbs might work if you can’t get your hands on dry sets, but keep in mind that these are often sprayed with chemicals to retard growth unless you purchase the organic variety. Right now the name of the game for these two bulb varieties is mulch, mulch and more mulch. Heaps of mulch will keep the moisture level from fluctuating much, not to mention keep the weeds at bay. Because much of my mulching material has made it into next year’s compost pile or around other plants, I scored a few bags of grass clippings from my neighbor’s hard work in her yard (always double-check if there have been chemicals used if collecting mulch from others). Grass clippings are nitrogen rich, a bonus for garlic, which requires quite a bit of nitrogen to fully mature.